Please note, that this is not necessarily the opinion of Pine Tar and Pocket Protectors. Nearly me. Brady. Please direct all hate mail and death threats to me. Brady. Recently, Alex Rodriguez hit his 600th home run, and it was met, largely with a ho-hum from the entire baseball community other than Yankees fans, and ESPN. Why? Because Alex Rodriguez was on steroids, and therefore, nothing he ever did should ever matter. Same thing with Barry Bonds. Mark McGwire. Sammy Sosa. They do not deserve their records, nor do they deserve enshrinement in the Hall of Fame (however you feel about the potential enshrinement doesn’t particularlly matter for this post). They cheated and used steroids. Last January, I was at TwinsFest, and the Hall of Fame had some cool artifacts there. Babe Ruth’s jersey. A ball from somebody’s perfect game (I want to say Sandy Koufax’s, but don’t quote me on that) and all sorts of other cool things. I started up a conversation with the representative from the Hall of Fame, and was interrupted by an old man, screaming about Barry Bonds, and demanding that the Hall of Fame strip Bonds of the all-time home run record (because the Hall of Fame has control of such things) and recognize Hank Aaron as the record holder. When I asked why, already knowing his answer, he informed me because of steroids. After doing more research, I found that Willie Mays and Mickey Mantle were also taking amphetamines. And I guarantee you that they weren’t alone. 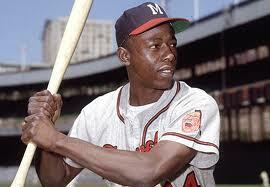 Hank Aaron took amphetimines, or "greenies", and was likely high when he hit number 715. As it turns out, amphetamines have a very similar effect on the human body as steroids. They both combat fatigue and cause erectile dysfunction. Hell, in Jim Bouton’s book “Ball Four” amphetamines are spoken about. Everybody took them. There weren’t disallowed in baseball, and it seems that everybody knew that everybody was taking them. And still, nobody cared. In fact, not only did nobody care, but “cheaters” were put into the Hall of Fame. 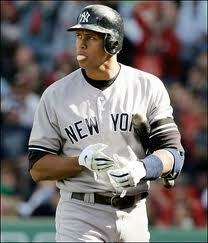 Alex Rodriguez admitted to using steroids between 2001 and 2003. McGwire admitted to using in 1998. So on and so forth. The fact is simple. Every generation of ball players had some sort of performance enhancing drugs at their disposal. Alex Rodriguez and Barry Bonds had steroids. Hank Aaron and Willie Mays had amphetamines. And there was no rule in any relation to either of them until 2006. Hell, there are even rumors that Babe Ruth was using cocaine. We should wipe all his records out of the books. Mays accumulated 9 or more WAR 9 times, en route to 163 WAR. Tonight, while watching the Twins and Rangers game, ESPN kept on cutting to segments of an interview with new Rangers owner, Nolan Ryan. And me, not particularly interested in the boring, predictable things he was probably saying (we’re going to be competitive for a long time, I love this franchise, I hate pitch counts! ), I used this time to go get a bowl of ice cream, or a can of coke. I did however her Nolan Ryan say something very interesting. “Josh Hamilton is the closest thing to Willie Mays we’ve seen.” That statement absolutely floored me. This is no slight to Josh Hamilton, the man is a very impressive player, with power for days, and he has a fantastic glove in the outfield, but…Willie Mays? Now, when comparing a player from the 50’s, 60’s, and 70’s, keep in mind that a lot of data just isn’t available. No UZR, no plate discipline information, there is a lot of stuff that just isn’t available. The man who owns 660 home runs, and 3283 hits. Or, in other words, one out of every five of his hits left the yard. He walked more than he struck out 10 times, he was successful in stealing a base 338 times out of an attempted 441 times. 77% of the time he was successful. Mays posted ISO (a personal favorite statistic) of .300 or more on 4 separate occasions. Keep in mind he didn’t play in a bandbox by any means. The Polo Grounds, Candlestick Park, and Shea Stadium were all cavernous. 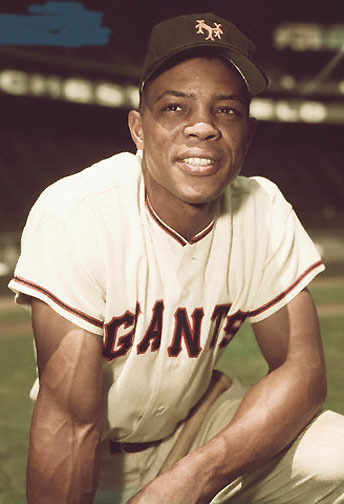 In short, Willie Mays did whatever Willie Mays wanted, and nobody was going to stop him from doing it. Mays accumulated 163 WAR over his career. Essentialy, he could’ve gone undefeated in your standard AL Central season. A beast in every since of the word. Josh Hamilton is having a great year, but Willie Mays he is not. 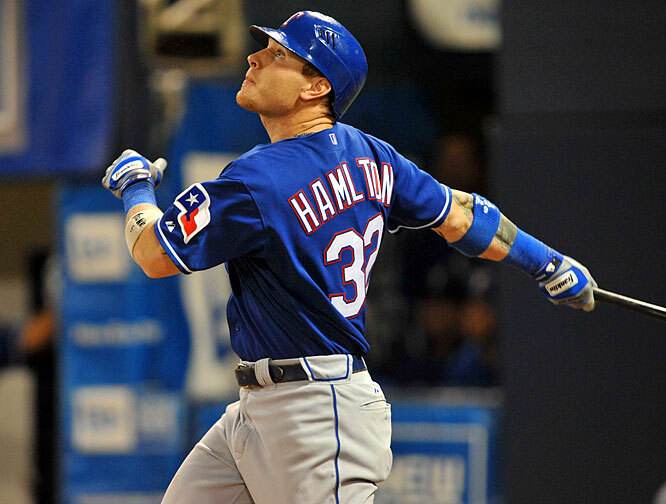 Now…Josh Hamilton? The man is a great ballplayer, and had he gotten to the league quicker, had not abused drugs, maybe this could be a conversation. It took him 7 years to make it to the bigs. His career started in Cincinnati in 2007. And in those 4 years, he has absolutely raked. 537 hits and 90 home runs. Six hits per home run, and while that is only one more hit than Mays, if you stretch that out over as long of a career as Mays had, one hit makes all the difference. Over his career, Hamilton has stolen 28 bases, and has been caught only 8 times. Thirty-six attempts, which is great, but Mays stole 40 in his age 25 season. Where was Hamilton in his age 25 season? Not in the Major Leagues. Hamilton has yet to post an ISO of .300. By the time Mays was 29, which is how old Hamilton is now, he had don it twice, and once had a .292 season. And I understand that Nolan Ryan was trying to pump his player up, like any front office does, but, honestly. That was a little extreme.